Add some illusory square feet with these interior design tricks. With the tiny house trend on the rise, homeowners are increasingly finding new ways to maximize rooms that have a limited amount of space. What’s more is that there are an increasing number of items in the furniture market to help you do just that. 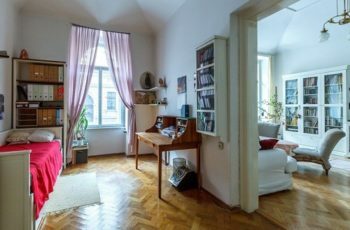 But while this means that there are storage containers, closet solutions, and multifunctional furniture aplenty, there are also plenty of simple décor tricks you can use to “add some space” to your living room without breaking the bank. Dark hues can make a room feel smaller and more cave-like, as they are great at absorbing light. Choose a lighter shade with a homely vibe, such as ivory or a pale blue. Similar to dark paint, heavy curtains can also make it feel like you’re living in a tiny cave. Swap the extra thick drapes for some stylish honeycomb shades or classic shutters. You can even leave the windows bare, just be mindful of any furniture that might suffer some sun bleaching. 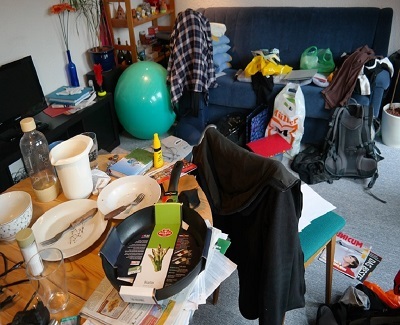 Clutter is one of the most common things that contribute to making a space feel smaller than it is. But luckily, it’s also the easiest thing to address. Not sure where to start? Simply employ the use of the four-box method that will compel you to keep, donate, recycle, or toss your collection of items. Sure, you can go out and buy new furniture to fit your needs, but you can also transform your existing furniture into multipurpose items by adding an element of storage. By incorporating drawers into your coffee table, or storage cubes into your bench seating, you will avoid needing extra furniture while curbing the clutter! By reflecting a portion of the room, a mirror can definitely make a space seem bigger (and it can help disburse more light!). It’ll also give you an extra opportunity to check your hair before hosting guests after your re-decorating! Sometimes your small knick-knacks can start to look like clutter if they’ve been allowed to accumulate. Instead of storing them in the open, stash them away until they are needed. If you were using them as décor, opt for larger statement pieces to grace your surfaces. These will help tie the room together. Instead of using the standard overhead light, which tends to distribute full light to only a small area of the room anyway, invest in some side lighting. Have a couple standing lamps charm the corners of the room, or perhaps even some side table lights. Pay attention to the flow of traffic through your living room. 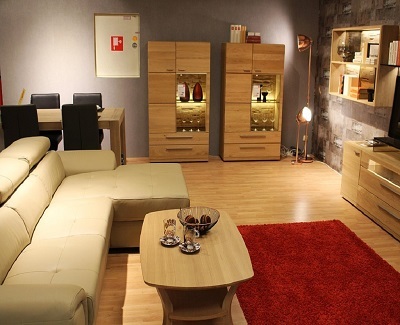 Arrange the furniture in a way that doesn’t obstruct the natural flow, but also has a certain feng shui to it. Use the walls to more evenly distribute things in your living room. Vases, books, and candles are just a few items that can fit nicely onto a shelving unit. For pet lovers, shelves can also be a great alternative to the popular room-consuming cat trees. While these ideas are some of the easiest and cheapest that you can use to make your living room feel a little roomier, there are plenty of others out there depending on your timeline and budget. And if you aren’t sure what direction to take your room décor, you can even hire an interior decorator to help you maximize your space in a chic and cohesive way. James Pointon is a passionate blogger and Real Estate Agent supporting OpenAgent – experts on the real estate market. James has always enjoyed styling houses and often shares his ideas and thoughts through blogging.